For 100 years and more, the Woman's Club of Wilmette at Tenth and Greenleaf has been a center of community life. On February 17, 2015, our village sustained a terrible loss when fire destroyed much of that historic and still vital building. 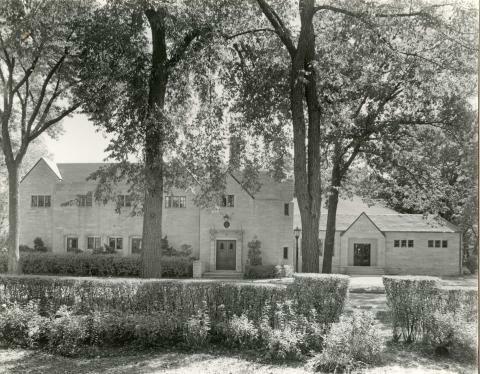 The clubhouse, with its distinctive facing of Lannon limestone from Wisconsin, was built in 1929, incorporating a smaller building erected in 1912. But it isn't only the lovely old building itself that people here are mourning this week -- it's the life that has gone on inside it for so long. Many people who don't know about the woman's club movement in America imagine that these clubs were just social gatherings where women sat around and gossiped over tea. Nothing could be further from the truth: they were vigorous engines of civic reform and philanthropy in their communities. This has certainly been the case in Wilmette, where a cultivated and energetic former schoolteacher named Ida Law started the club in 1891, when Wilmette was a sleepy village of 800 residents. 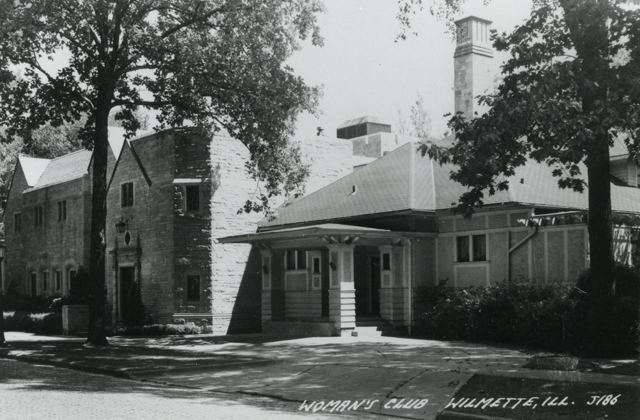 At first it was a reading circle that gathered at the home Ida shared with her sister Anna at Forest and Twelfth, but by the end of 1892, membership had grown from twenty to sixty-five, and the name had been changed to the Woman's Club of Wilmette. The Club hit the ground running: sending delegates to the Congress of Women at the 1893 Columbian Exposition, sponsoring improvements around town, and helping out wherever they could. They rescued the town library, aided the victims of local disasters, sewed clothes for the needy, and campaigned for Women's Suffrage. Their motto, adopted from Robert Browning, was later engraved above the fireplace in the clubhouse lounge: "Progress Is the Law of Life." For years the Woman's Club continued to meet at the Law sisters' house, then in rented quarters. 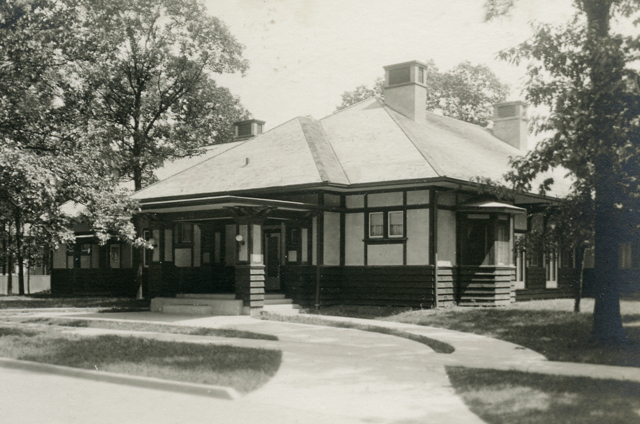 In 1910 a member donated the lot at Tenth and Greenleaf, and money was raised to build this lovely Prairie Style clubhouse (at right), which opened in 1912. 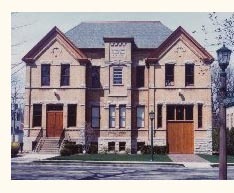 All through the 1910s and 1920s, the Club continued to expand in size and energy, hosting dances and making bandages to benefit local servicemen during World War I and founding Wilmette's League of Women Voters in 1924, to name but two of their many activities. In June 1929, ground was broken for the beautiful addition that generations of villagers have known so well. At those ceremonies, coins, documents, and photos were embedded in the copper box in the cornerstone. Designed by Granger and Bollenbacher, the building boasted among its glories a 650-seat auditorium that has seen countless gatherings of many kinds over the years, including the popular annual antiques fair. The clubhouse officially opened on October 23, 1929, six days before the stock market crash that ushered in the Great Depression. Four charter members from 1891 were able to attend the opening. One elderly founder who couldn't come, Anna Law, sent her blessings from her home in Missouri, proclaiming her conviction that the new building would be "a lasting monument to Woman's progress in Wilmette." The Woman's Club's philanthropic work was more important than ever during the Thirties. When war came, the clubhouse became the site of such activities as the canning center, opened in 1943, where people could bring the fruits and vegetables from their "victory gardens" to be canned for just the price of the can (ten cents). Blood donor units were set up as well, and operated during both World War II and the Korean War. 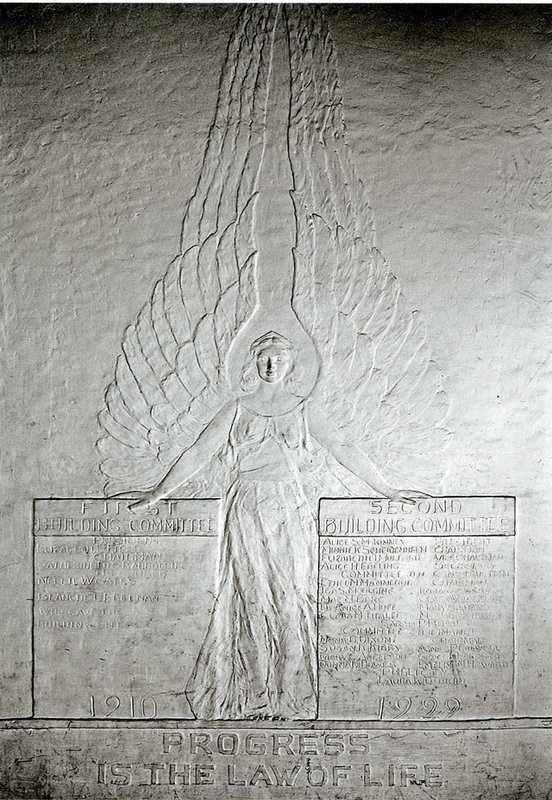 In 1942, to help memorialize the Club's 50th anniversary, local artist Jean Miner Coburn began work on two beautiful bas relief plaster sculptures. They were installed two years later just inside the entranceway, on either side. In 1956, the original 1912 building was renovated and given a limestone facing to match the addition. The Woman's Club has meant much more to this community than any short account can adequately reflect. Luckily, the Club's original archives -- the first charter, the minute books going back to the 1890s, all the old Club bulletins, stacks of wonderful scrapbooks and photographs -- were donated to the Wilmette Historical Museum several years ago for safekeeping, where they have been carefully catalogued and stored and where researchers can learn more about this remarkable institution. We're very proud to be helping to preserve and share the Club's long and noble history, and it is our heartfelt hope that, despite this tragedy, that history will prove to have been a prologue to an equally vibrant future. Jean Pond Miner Coburn was a Wilmette resident and member of the WWC. She was the "exhibit" of the State of Wisconsin for the 1893 Columbian Exposition. Visitors watched her sculpt a 14' statue "Forward" now on the capitol grounds in Madison. She held a MFA from the Chicago Art Institute and taught in their school. A missionary's daughter, she also sculpted a bronze fountain for the Wilmette Congregational Church. She married Wilmette Judge A.J. Coburn, and they lived in Wilmette until her death in 1967.